Durga is unattainable, unfathomable, the Invincible One. 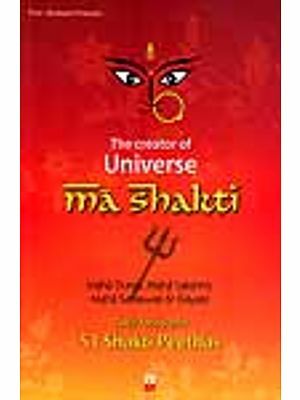 Myths associated with her origin tell us that she is Shakti - the female manifestation of cosmic energy - created by the fusion of the fierce energies of all the male gods and stronger than their combined strength. She is the scourge of demons, as she is protectress of the realms of gods and humans. Her anger is terrifying, her lust for victory in war overwhelming; on the battlefield she is merciless, even savage. 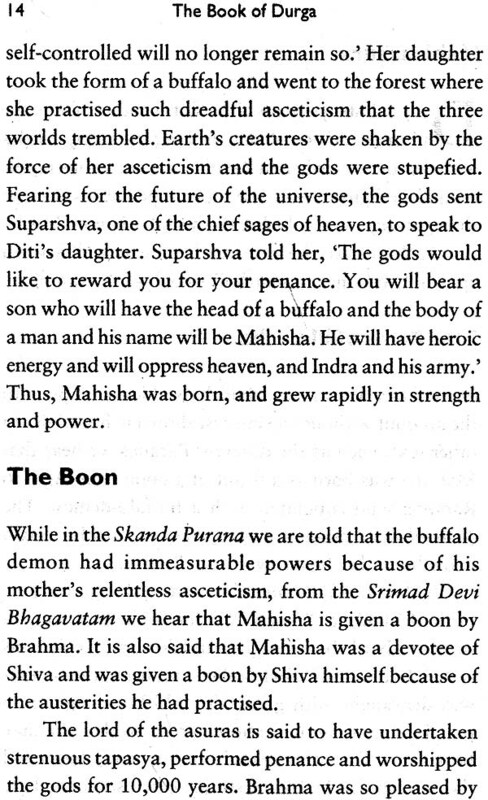 Yet, she may just as easily transform into the consort of Shiva, daughter of the mountains, sister of the gods, or mother of her four children and of all mankind. It is this complexity that Nilima Chitgopekar explores as she takes us through captivating interpretations of myths, rituals, ancient scriptures and iconographic representations to unravel the enigma that is Durga. 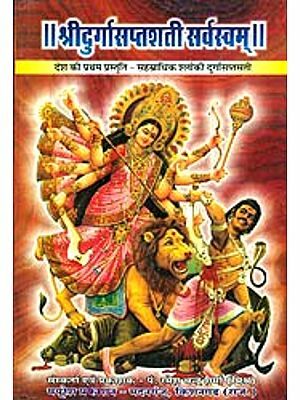 Her intense passion for the awesome power and majesty of the warrior-goddess couples with meticulous research to make The Book of Durga a truly fascinating read. Nilima Chitgopekar teaches history at the Jesus and Mary College, Delhi University. She is the author of Encountering Sivaism: The Deity, the Milieu, the Entourage (1998) and has edited Invoking Goddess: Gender Politics in Indian Religion (2002). Hinduism is one of the rare religions that has a living goddess tradition dating from ancient times. This uniqueness is compounded by the enormous assortment of goddesses in the Hindu pantheon, almost as though to pander to each and every individual whim, need, compulsion, predilection and fancy, a panacea for all mental states. 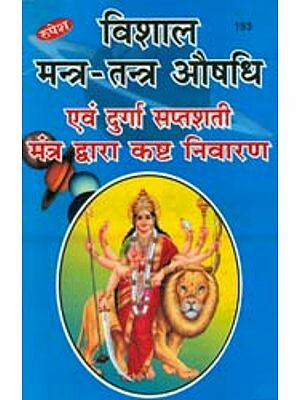 This polytheistic manifestation, due both to the admirable elasticity in the Hindu tradition and the believer's imagination, has ensured the continuous popularity of the goddess. Amid the multitudinous devis we see around us, the most ubiquitous and the most arresting is Durga, 'she who rides the lion'; Durga, 'the hard-to-reach, unassailable one', 'the unfathomable one', epitomizing in her persona the ambiguity and mystery inherent in the voluptuous goddess tradition of India. 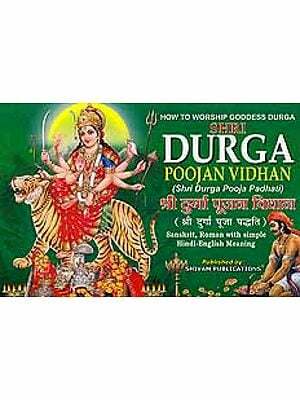 With the exception of a few, most goddesses, even with different names, are Durga or at the most forms of Durga. Her primary mythological mission is to combat demons who threaten the stability of the cosmos. Understandably, in some places she is revered out of fear of her wrath, armed as she is with many deadly weapons. At some point of time she also gets associated with Shiva, exhibiting comely domestic traits as his wife and is then worshipped out of sheer adoration. Her distinctive appeal comes from her nurturing qualities as protector of the world, as well as the darker, liminal characteristics that allow her to step outside normal female social roles and restraints. She is one who can hold her own against any male demon, human or hybrid, on the battlefield. Her favourite habitats are mountainous regions which are and were areas considered geographically peripheral to civilized society partly due to their inaccessibility and partly because ranges like the Vindhyas were the habitats of violent and hostile tribal groups such as the Shabaras. Being a multivalent goddess she is closely related to tribal and local deities and is honoured and revered by all social classes. There is hardly any village or even cluster of hutments in the entire county that does not have an idol or image of Durga or one of her millions of forms. In the villages and tribal areas, local goddess are important for they give an immediacy to worship that is not provided by the great but seemingly distant male deities, Vishnu or Shiva. 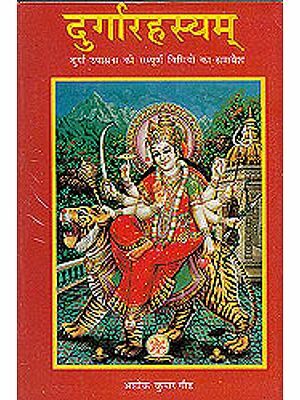 In the form of the village goddesses, she is the protectress deity of the villages as well as of the forests and is then called Vana Durga. 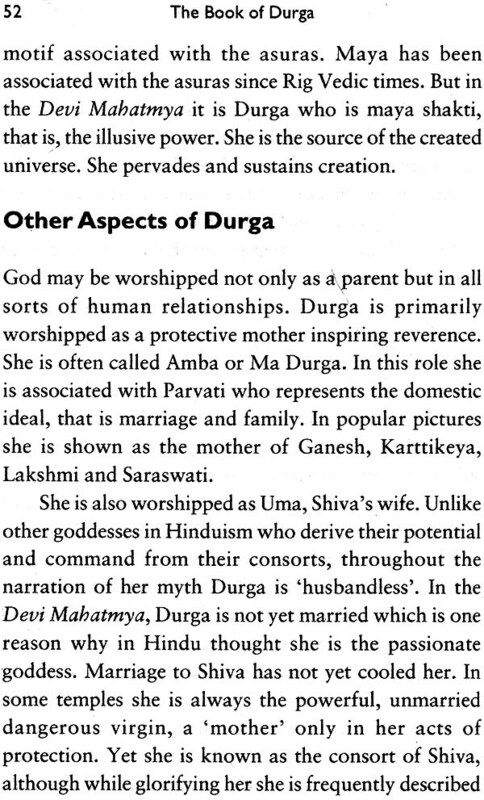 Paradoxes often form an integral part of theologies and the theology around Durga is brimming with them. In her image and in her myth it may be said that the paradoxical exalts the enigma. Yet, the paradoxes seem more like a representation of complementarity than irresolvable binary oppositions. Her personality reveals contrasting character traits-she is saumya, gentle and mild, as well as ghora, frightful and terrible. However, more than anything else she is 'the war goddess'. She astounds in her capacity in battle. Descriptions of her battles are replete with scenes of death and mayhem. In this capacity of the goddess of destruction she reflects, more than any other deity in India, the notion that creation and destruction constitute an ongoing cyclical process; as death and destruction take place, it is but inevitable that new life will follow. Indeed, tread with care when you approach her, for behind the obvious calm, benign, beautiful mien and the abhaya gesture of her hand is the awesome backing of a millennial belief system. This belief system encompasses not only a maelstrom of human emotions but also the adroit ingenuity and pugnacious faith of the believer. 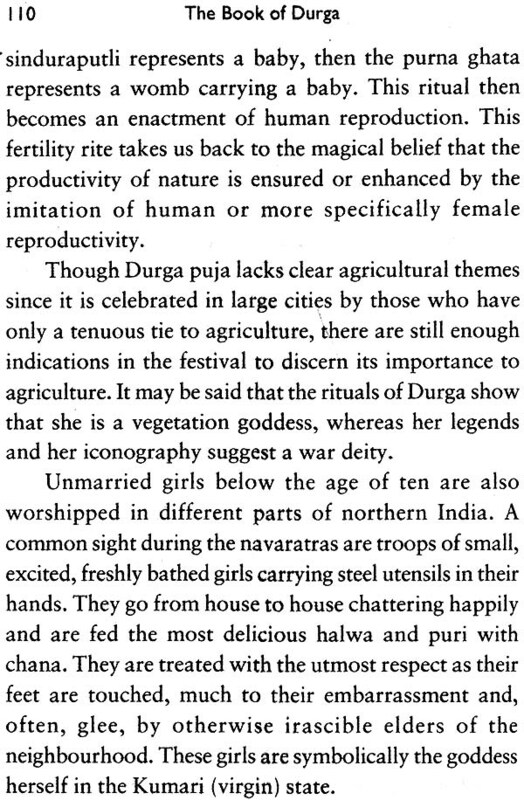 As the story of Durga unfolds, I will look at her mythology as found in the Devi Mahatmya, a truly remarkable ancient text supposedly composed by men, in which the goddess surpasses all male deities in her unabashed enjoyment of battle. In this recounting we witness how, amid blood and gore, her sheer relish of victory renders her the 'battle goddess' par excellence. As the story unfolds it will become clear that she is also the supreme protector-warrior-victor goddess. She is the embodiment of the militant energy of the cosmos which she resorts to in times of crisis. Her wild and untamed power comes to the fore when she is called upon to quell the anti-divine forces, to repair the imbalance caused by the demons. 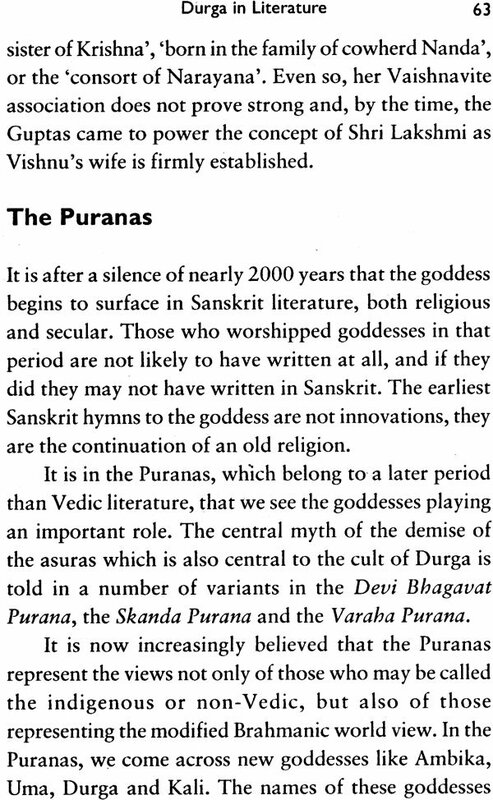 In the section dealing with the history of Durga it will become clear that though the stories about her were not originally found in the early Vedic literature written by the Brahmanas, she gradually came to be defined by the principles and framework taken from the Vedas and orthodox Brahmanical philosophical systems. The subsequent part deals with epithets and nomenclature. 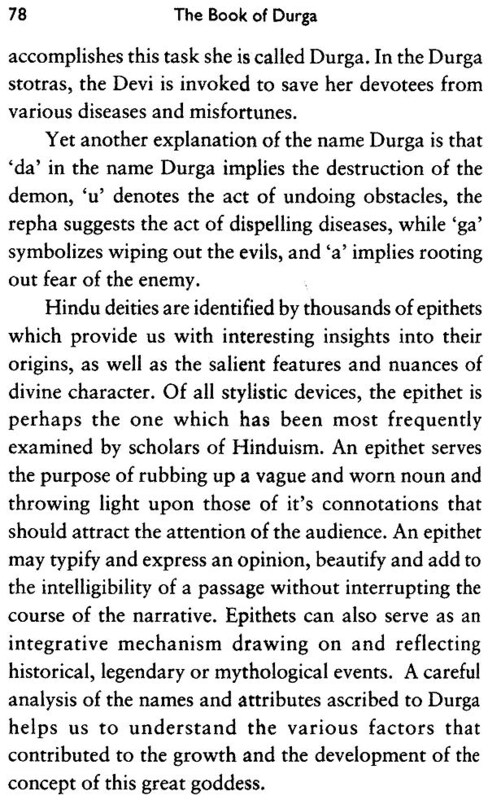 Epithets are always illuminating in the context of Hinduism as they explicate different aspects of a god or a goddess just by a name. This is followed by an account of the visual representations of Durga, both in the ancient period as well as at present times. The aspects of her worship are then discussed briefly. This includes a brief word about the rituals associated with her worship. 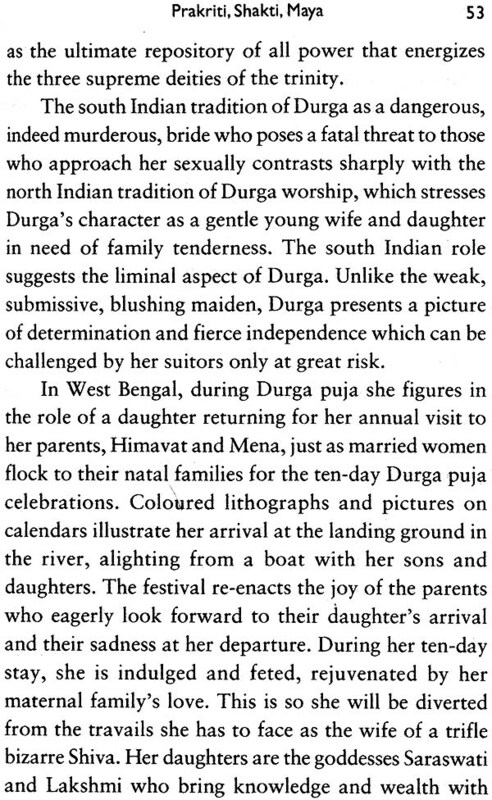 My first experience of Durga was when I was a child in a small town in Uttar Pradesh. To my amazement, come October, a particularly nondescript building facing our house would get transformed from what we knew as a staid Bengali library to a venue of complete, embracing excitement. Bengalis from all over the town flocked there as the drums beat and I would shyly join them, aware of my outsider status because I did not speak the language most others spoke. Yet, somehow, I was never made to feel too much of an outsider. The moment the goddess arrived amid joyous abandon and was placed on her prescribed pedestal, I accompanied my mother to see the beautiful murti. We marveled at the rich, ornate adornments and tried to remember how the goddess had looked the previous year. I also admired and envied everyday else in their new finery. 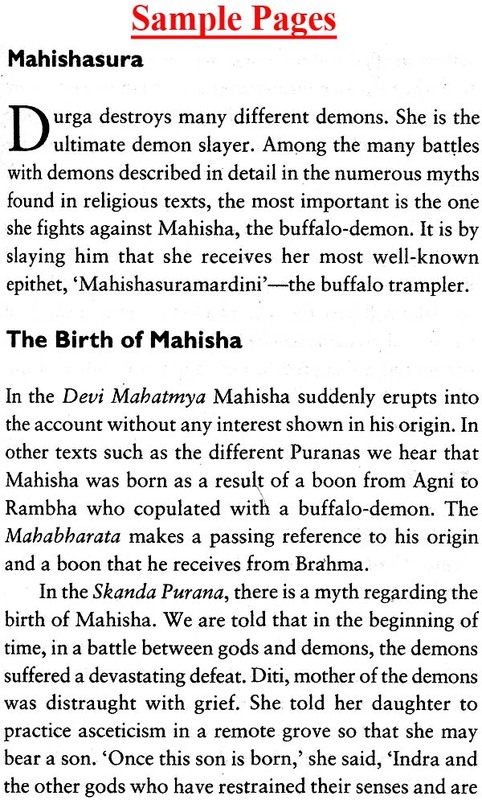 Why did Durga ride a lion, I would wonder. Why was she smiling as she held so many weapons? Why did she trample the half-man figure? These were just some of the questions, never asked nor answered completely to my satisfaction, that lurked somewhere in the recesses of my mind. As the years went by, whether I was involved with studying or with youthful romances, once the drums started beating I would, as though in a trance, find myself getting swirled into the activities of the puja. This lasted until the goddess was taken away facing backwards. The tears in the eyes of the women who stayed behind made the inevitable tears prick my eyes with the awareness that it would be a full year before she would be back. I used to think then that perhaps I was overwhelmed because this was the first time I had encountered such utter visual beauty, such a feeling of oneness with the rest of the people gathered there. Today I can understand that this feeling within me was probably created by a facet that is almost a hallmark of certain rituals in Hinduism-the aura that is created by the combined effect of the sonic and the visual. For truly, the mode of her worship reflects the sounds of Durga's battle against evil.